Books | P. D. Griffith's P.O.V. Tell me if this sounds familiar: An alien with supernatural abilities (but looks human) is sent to Earth following the violent conquering of his home planet. The intention of his seclusion is for him to grow up and develop until he’s ready to return to his home planet and save it from the enemy. While on Earth, he ventures to a small town and attempts to integrate unnoticed into the local high school scene. As he tries to stay under the radar, he falls in love with a beautiful, quasi-popular girl, and attempts to keep his alien nature secret; however, when the beautiful girl is put in danger, the alien reveals his identity thus sending him and everyone he knows into a disastrous web of danger, secrecy and intrigue. Throw in a monstrous enemy (also alien), a quarterback, son-of-the-sheriff ex-boyfriend who dislikes the protagonist, and a nerdy outsider. So does it remind you of anything? If not, you may have found the story more entertaining and interesting than I did. But if it does, you probably realized, as I did, that the story and the characters are almost a direct retelling of the early 2000’s WB sci-fi drama Roswell. The lack of originality aside, the plot was extremely predictable and the characters were underdeveloped. Having knowledge of the film that was already well into production at the release of the novel, I developed a sense that the book was an afterthought, a ploy by the authors to cash in on the popularity of the young adult fiction category and pull in additional profits. This is probably a strong contributor to the less than stellar writing. The screenwriter backgrounds of the authors probably didn’t help the novel much either. There was a lack of description throughout the novel and a dependency on dialogue that made the world a little stagnant and difficult to visualize. All of this coupled with the quasi-mystical, yet unexplained spell/charm that has been placed on all of the Nine, and you are left with a less than gratifying story. On top of that, the overt political message of conservation and shifting behaviors on environmental practices on Earth also became somewhat preachy at times. In the story, Henri tells John Smith (the protagonist) that the planet of Lorien experienced the repricussions of a similar path that Earth was currently taking. That eventually the planet was on the brink of self-destruction and that the entire race has to shift their actions to bring the planet back to life. As a result, the Legacies (powers the aliens have) were the gifts the planet provided the Lorien race. I liked the idea of adding some semblance of political messaging in a young adult novel, but I wish it was integrated in a more seamless way rather than being so obvious. On a positive note, the book was a quick read and entertaining, but it definitely fell short on character development and originality. Oddly enough, the dog/chimera Bernie Kosar seemed to be the most well rounded and interesting character, and it was a dog. Sidenote: There was one final thing that will probably seem minor to most people but really irked me. Before even staring the Prologue, I read on the back flap of the book the “About the Author” which states “Pittacus Lore is Lorien’s ruling Elder. He has been on Earth for the last twelve years, preparing for the war that will decide Earth’s fate. 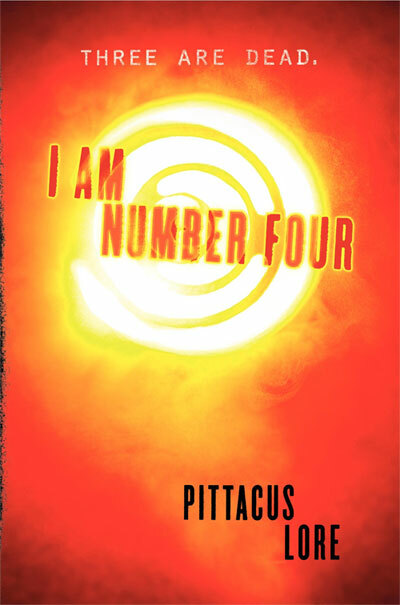 His whereabouts are unknown.” Now, before I even picked up the book I knew that Pittacus Lore was the pen name for the author duo Jobie Hughes and James Frey, and after the “About the Author” I had the expectation that Pittacus Lore would be telling the story of the Lorien Nine through his outside perspective. However, if it is from his perspective, why on earth is the story told from a first person perspective of the protagonist? It just didn’t make sense. Why would the Elder, who is a scholar from his home planet, write the tale of the 9 on Earth from the point of view of Number Four? It seems like such a small detail, but if they are going to attempt to create an entire world around the novel, including making the “author” a character for the story, then they should have thought through who would be telling the story. 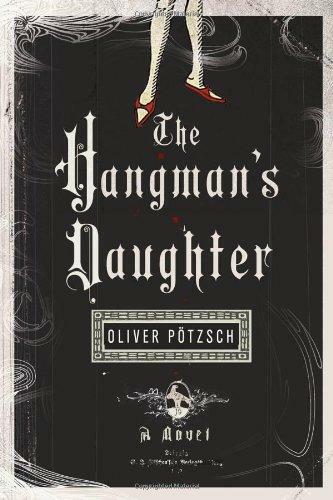 Thanks to Amazon’s AmazonCrossing that focuses on the translation of foreign novels into English, Pötzsch’s successful German novel, The Hangman’s Daughter, has been made available to the English-speaking masses. Set in the mid-1600s in Bavarian following the Thirty-Year War, it focuses on a hangman, Jakob Kuisl, who is asked to draw a confession from the town’s midwife, who is accused of being a witch and murdering a young boy, whether she’s innocent or not. He must illegally torture her for an expedited execution and guilty verdict that the village council desires. However, Kuisl’s strong belief of her innocence and personal qualms with torturing an upstanding member of the community lead to a race to uncover the truth of the boy’s murder and the answer to the existence of witches in Shongau before the town’s patron returns to decide the case. Jakob, with the help of his daughter, Magdalena, and Simon, the physician’s son, disregard their reputations and question the riotous members of the town in search for any clues that might shed light on the case. But their task become more and more complicated as fear and panic grip the city and more children with ominous tattoos turn up dead around town. The Hangman’s Daughter was an extremely interesting historical fiction/murder mystery set in a period of prejudice and fear. It’s amazing that the story is set in a time that would have been considered the Baroque Era (Era of Elegance) because it seemed more like it was the Dark Ages as the imagery of muck and filth the people of Shongau seemed to live in didn’t seem very elevated. Also, the fact that such hysteria could be caused by the thought that a “witch” might be practicing and corrupting the children of the town was unbelievable. Growing up you hear stories of the Salem Witch Trials, but this book put that tragic bit of history into perspective. The shear ridiculousness of the accusations and the way people viewed the carrying of a plant or a birthmark to be the sign of the devil is insane, but I guess that is really how people thought. It was a time where medicine was still primitive and people were afraid of anything that could be considered against the church. Many times I found myself baffled by the people’s close-mindedness and their inability to accept something that had an easily found scientific explanation. It made me glad that I didn’t live in the 1600’s. But apart from the unique historical setting and glimpse into the “witch trial era,” I found the learning of what an executioner did to be absolutely fascinating. I had no idea that they did so many things outside of just killing people. To make it more interesting, the fact that Jakob Kuisl turns out to be an ancestor of the author is really neat. On the novel itself, I have to give Lee Chadeayne credit for he did a wonderful job at translating the German into English. It still had the Germanic slant to the language, while still being very easy to read and consume as a native English speaker. I found the pacing to be quite good, a nice blend of historical explanation, plot development and character development. In fact, I thought that the characters of Jakob, Madeline, and Simon were extremely robust and well-penned. However, at times I did find that the language became a bit wordy and I wanted to get on with the story. I really hope that the success of the first book will push AmazonCrossing to translate the second and third books in the series so I can see what happens to The Hangman’s Daughter. 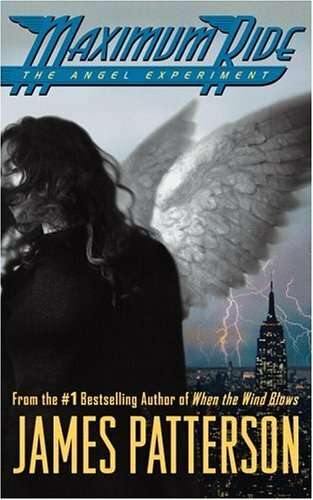 The Athena Project is a story of a team of all-female operatives of the counter-terrorism team, Delta Force, who find themselves in the midst of a mission much larger than they every expected. When twenty Americans are killed in a terrorist attack in Rome, Athena Project operatives, Gretchen Casey, Julie Ericsson, Megan Rhodes, and Alex Cooper are tasked with capturing a Venetian arms dealer responsible for providing the explosives from his home. But following the arm’s dealer’s interrogation, they are tasked to check out a secret bunker once used by the Nazi’s during WWII as a scientific research center. They find the gruesome remains of inhumane experiments from the 1940’s but all the equipment and technology has been removed…recently. Now, propelled on a mission to discover the culprits behind the clearing of the bunker and the whereabouts of the supposed technology that once laid inside. Simultaneously, there is a storyline taking place in Colorado where a foreign spy is close to penetrating the mysterious secret the U.S. government has hidden beneath Denver International Airport, but she doesn’t realize that she is being played by the man she thought she was seducing. I actually finished the book back in early January, but I had a hard time figuring out what about the book that bothered me. I considered it an entertaining read, but something was making it feel eh to me for lack of a better word. That was until I saw an episode of Chuck (“Chuck versus the C.A.T. Squad”) that I immediately realized what it was that was disappointing. In The Athena Project, as in the Chuck episode, the four girls are all stunning beauties who are skilled weapons experts and tactical killing machines. They both use their feminine wiles to infiltrate and get close to their targets and then their cold-hearted training to carry out their mission; however, in The Athena Project there was a lack of humanity to the characters. When I say humanity, I don’t mean compassion, but more that they are so beautiful and so great at what they do that they seemed invincible. More like a superhero than a human spy with vulnerabilities and character flaws. In addition, I felt there was a lack of character development to the main cast of characters that made the four operatives interchangeable. I found myself many times pausing to remember the backstory of the character I was following and not being able to pinpoint which one it was. There was so little to separate them from one another that it was as if they were one person. Again, even in the single episode of Chuck the four women were distinctly different from one another. Each had their own issues, their own pasts and their own problems. Why is it that I felt more connected with four characters in a single hour of TV than I did with four protagonists over an entire novel? Somethings not right with that situation. 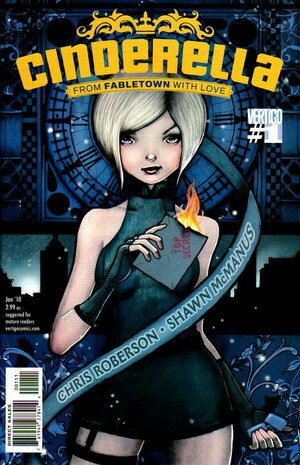 Other issues I had with the novel involved the pacing and the seeming superlative secondary story arcs. Throughout the novel, the story seemed to be building to a climactic and epic ending; however, the ending was rather predictable and almost boring. There were parts in the middle of the book that had me on my seat more than the ending. Also, the entire story in Denver was interesting but there was no resolution as to why it existed in the first place. The dynamic between the two spies (one American, one Russian) both tasked with getting close to the other was intriguing, but the story arc was almost thrown away with a quick conclusion, and when it was done, I found myself wondering what was the point. 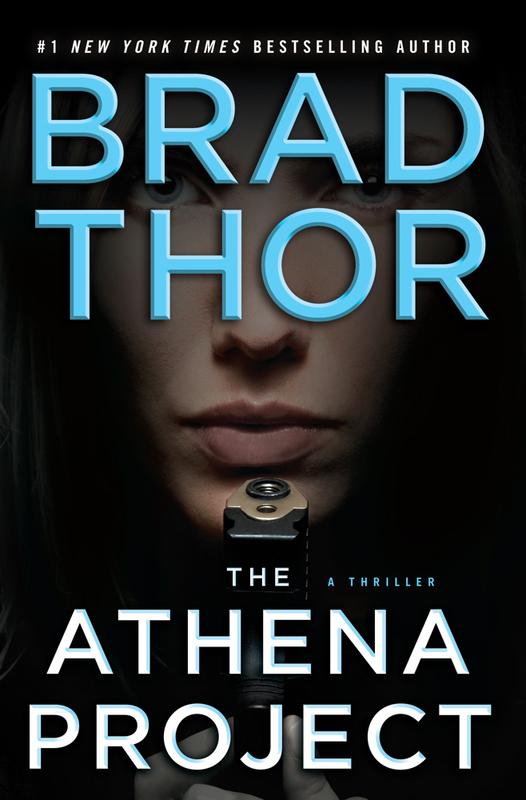 This was the first Brad Thor novel I’ve read, and I know there is a number of books around a character who had a cameo in this novel, Scot Harvath, but as a first time reader. I find myself wondering if I want to try another one of his books. Where this novel falls short with protagonists that are more caricatures of female spies and the plot is weak and underdeveloped perhaps his other books stand out as resouding successes in a genre that is greatly entertaining. I apologize if this review is a bit negative. I generally like to stay constructive, but I’m afraid I may have been too harsh on Brad Thor’s recent work. It takes a lot to write a novel and I applaud his effort but I feel this needed a better editor to point out those substantive issues before publication. Let’s hope my next read of a Brad Thor novel is a more positive one. As a last note, this novel is probably a perfect in-flight read. It would be a great one to pick up at the airport and read as you wait for your flight to take off. It’s fast paced, entertaining for what it is and brainless enough to not exhaust you while you travel. Not very often to you find a self-published work that can rival those of the big publishing houses. This book by Collin Earl grabbed my attention from the beginning and the adventure kept going straight through the end. Obviously the first in a series, the book ends with many questions unanswered, but even still, it was a great read. I will not lie though; it was sometimes difficult to keep track of the multiple story lines. The story of Samantha was the most developed, but the lack of answers with the Professor and the Magician was a bit frustrating. There are large portions that focus on an element known as Harmonicum and “experiments” at MESA but that portion if the story is left much unfinished in the reader’s mind. I’m sure book two will shed more light on the matter and provide some closure. The science in the book was very impressive and well explained. I am by no means a physicist, but I was glad I had some understanding of things like mechanical resonance and string theory for the science to not be completely over my head. And the world is quite interesting. 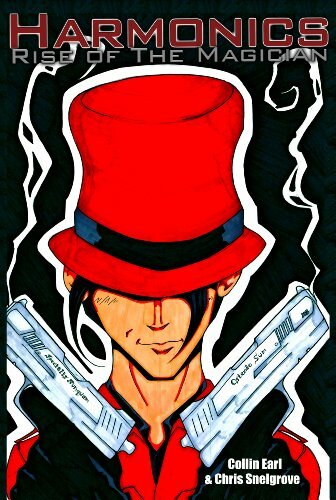 Earl creates a possible future of the United States and the world that may very well come to pass with collective totalitarian governments complete with technological convergence and the use of the cloud. I look forward to the sequel and learning what comes next for Samantha and this mysterious silver box she carries. Now, I would not consider myself a “business book aficionado,” but in this book I found 247 pages of unfathomable realizations concerning my own irrational behavior and eye-opening stories of marketing genius. 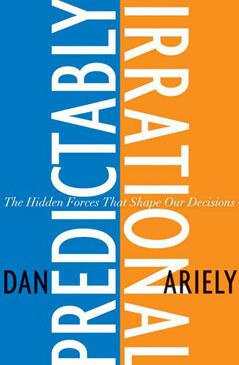 At the heart of this book, amidst some absolutely GENIUS experiments, Ariely provides a sort of argumentative essay concerning the emerging field of behavior economics and how it takes into consideration a part of human behavior that makes classical economics obsolete and almost worthless. This idea that humans behave irrationally without any conscious thought astounds me. Throughout the book Ariely continues to throw punches until one is on the floor, knocked out by their own irrational behaviors of their past. One almost feels cheated by themselves for making decision that don’t make sense. When the words, “free shipping,” make you wonder if you are quasi-retarded and cause the actual expulsion of “uhh,” Ariely has uncovered something serious.